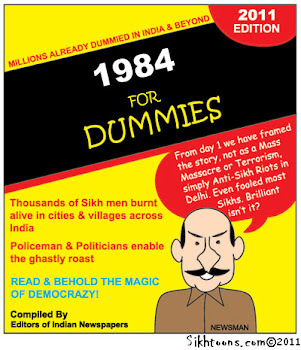 THE ROAD TO KHALISTAN: Internet Freedom in the World's Largest Democracy. Internet Freedom in the World's Largest Democracy. I do not know how much press coverage this has been getting in India, so I will cover it here. effectively ends all freedom of expression on the Net. investigation of any offence or is insulting any other nation. Next, looking at the first clause of (j) - threatens the unity, integrity, defence, security or sovereignty of India – that would seem to forbid any mention of Khalistan or any other liberation movement within the Republic. I find it somewhat amusing that it also means it is against the law to speak ill of Pakistan and China! It does, after all, include anything that is insulting any other nation. This law will, of course, be selectively enforced, the government of India (GOI) blocking sites it does not like. This blog is a very small player in the blogosphere and probably beneath the notice of the GOI, officially, at least. I want to ensure my beloved readers that I will continue to write as I always have, encouraging the self-determination of the Sikh Qaum and the chardi kala of the Panth. However, preparing for the worst, anyone who would like to receive e-mail copies of my posts, please contact me directly and I will put you on my mailing list. I am writing and publishing from the United States of America and I have been careful to follow the laws of this land. As I am a strong believer in freedom of speech and freedom of the press, I do not follow the ridiculous restrictions of censorship laws of India. Reading blank pages would be boring to you, I'm afraid. 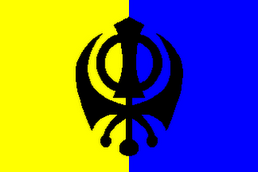 I do not know what will happen in the future, that, of course, will be the Hukam of Vaheguru. Perhaps nothing will happen. We can always hope and pray for the best – and of course, prepare for the worst. Whatever happens, please know that I personally love you all and you are ever in my heart and in my prayers.